na sequência da série de posts dedicados às unidades móveis (ver aqui) pareceu-me bem trazer esta pop-up store da Adidas! 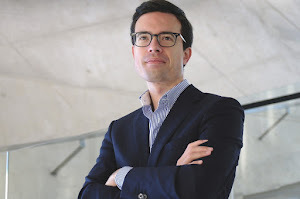 acho que por ser "tranportável" também a podemos considerar uma unidade móvel. It looks like it was the shoe box for a giant. The semi-opened lid suggests that someone tried on the shoes inside. Created for the Primavera music festival in Barcelona, Spain, the adidas Originals Popup Shop was certainly a main attraction. Incredibly detailed, the store has everything from the information of the shoe on the side of the 'shoe box' to a couple of laces peaking from the roof. 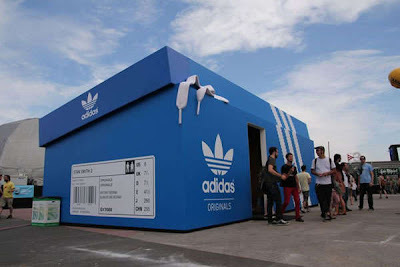 A fun creation, the Adidas Originals Popup Shop is a sight to behold (via).